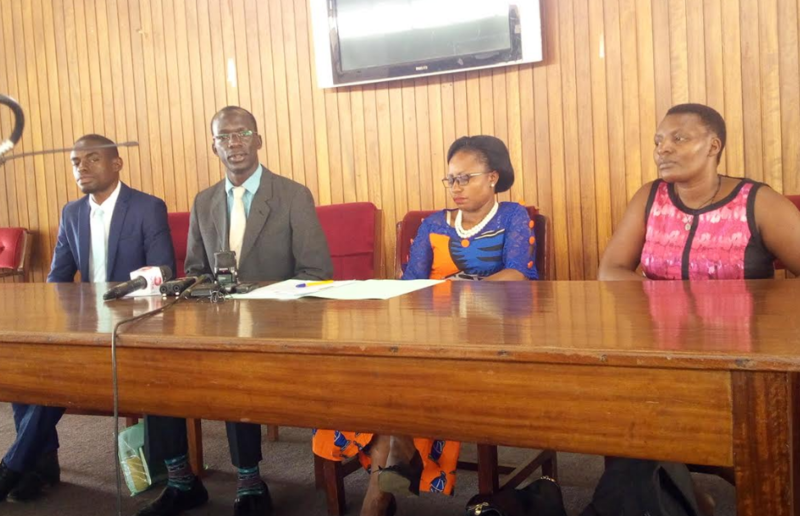 KAMPALA – The Uganda Kidney Foundation have called on government to set up regional kidney centres to save the lives of many Ugandans struggling to seek for treatment, yet there are only two centres in the country. The call was made by Dr. Joseph Gyagenda, the chairperson organizing committee at Parliament ahead of the World Kidney Day that kicks off Tuesday, March 26, that has seen a number of activities lined up including free kidney screening services that will be offered to the general public on Thursday, March 28. Mr. Gyagenda said that kidney diseases remain silently ignored by government with only two treatment centers one in Kiruddu Hospital and the other in Mbarara government hospital and this has left many people including the young children lose lives due to lack of treatment. He explains that the country has only 8 doctors who are specialized in kidney diseases and these can only handle 0.05% of the problem and added that the problem is worsened by the high cost of treatment that goes to over UGX3m if detected early. Mr. Gyagenda said that setting up regional kidney centres costs UGX568m saying the move if adopted would work along way into saving the lives of the many people who can’t seek for treatment due to the long journeys yet many cannot afford charges in the few private hospitals. “We have worked out a budget and this will be presented to Parliament and Ministry of Health and this budget comes to UGX568m for each regional hospital to save Ugandans from moving with their goats to be taken care of at Kiruddu for a life time. They can get these services in Soroti, Hoima, Arua, Gulu, and Lira. People are hopeless, if you send me to Mulago and only have a goat to sell, why should I come to you anyway? We only get a few people coming to us because of the scarcity of the service. People come to us late,that is why their survival is actually very low” said Mr. Gyagenda. Mr. Esperanza Baguma, the Vice Chairperson Parliament Health Committee expressed concerns over the absence of kidney centres across the county saying the matter is worsened by lack of expertise and treatment of the kidney diseases in young children that for those whose parents cannot afford treatment abroad can only wait for death and called for more funding for treatment of the disease and also train more doctors in the same field. Global figures indicate that there are 850 million people are now estimated to have kidney diseases from various causes with Chronic kidney diseases (CKD) cause at least 2.4 million deaths per year and are now the 6th fastest growing cause of death. Moreover, CKD and AKI are important contributors to increased morbidity and mortality from other diseases and risk factors including cardiovascular disease, diabetes, hypertension, obesity, as well as infections such as HIV, malaria, tuberculosis and hepatitis. Furthermore, CKD and AKI in children, not only lead to substantial morbidity and mortality during childhood but also result in medical issues beyond childhood. In this year’s World Kidney Day celebrations, emphasis has been set on raising awareness of the high and increasing burden of kidney diseases worldwide and the need for strategies for kidney diseases prevention and management. The activists are calling for universal health coverage policy that seeks to promote population health by ensuring universal, sustainable and equitable access to essential healthcare of high quality, protecting people from health impoverishment and improving equity in health across socioeconomic groups. Experts in the field also want screening for kidney diseases a primary healthcare intervention including access to identification tools (for instance urine and blood tests). Screening of high-risk individuals and early diagnosis and treatment is cost-effective to prevent or delay end-stage kidney diseases. Additionally, emphasis this year will go towards ensuring kidney patients receive basic health services they need (for instance blood pressure and cholesterol control, essential medications) to delay disease progression without suffering financial hardship.